Software Powerhouse Amber Connect was founded on humanitarian values and has made massive inroads across the Globe with its revolutionary Technology and Vehicle telematics systems. All Thanks to the vision and passion for cutting edge technology by it’s the world renowned and eminent CEO and Founder – ‘Dushyant Savadia’. Amber Connect is taking the global vehicle tracking and security sector by storm with its innovative and affordable software. 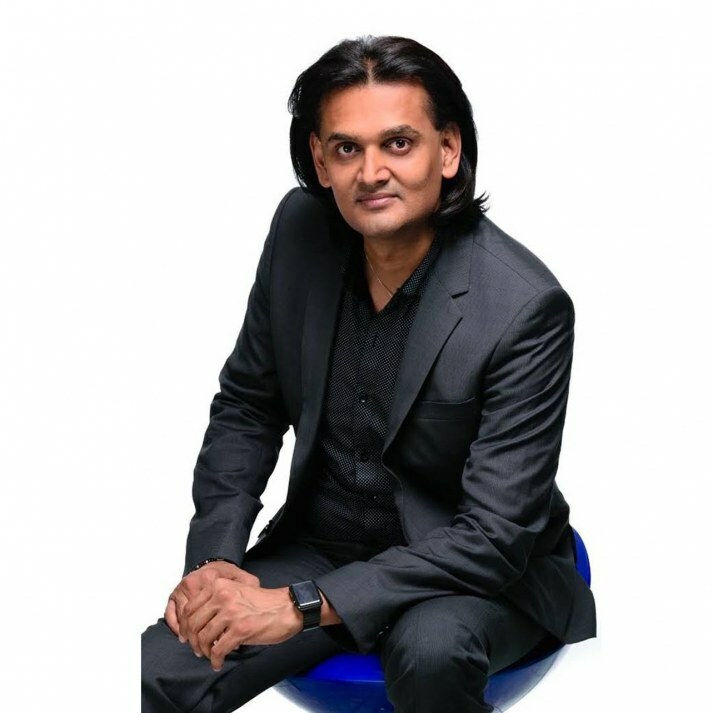 The Amber Connect and Kuya Technologies CEO and founder ‘Dushyant Savadia’ discusses the companies’ core values and development roadmap for its rapid global expansion. Headquartered in Jamaica, Amber Connect was founded in 2015 with the aim of adding value for consumers and providing funding for the Art of Living Foundation, an international humanitarian NGO where ‘Dushyant Savadia’ has been teaching mindfulness and meditation techniques since 1999. The company is unique in that it is based on the principles of corporate social responsibility and not vice versa. Amber Connect became the first vehicle tracking company in the world to deploy artificial intelligence: if somebody tampers with a parked vehicle, the device will automatically shut down the engine and activate a loud noise on your phone, following which the security company will immediately deploy an armed response vehicle – all in the space of three seconds. Thanks to the massive gaps in the local markets globally, the company has made impressive expansion progress in a very short space of time, with its products seeing phenomenal uptake by corporates, the insurance sector and even government parastatals. Boasting an product employment ecosystem of almost 2000 employees globally with representatives in Jamaica, Namibia, South Africa, United States of America, The United Kingdom, Mexico, India and Russia to name only a few, with 3/4 more global offices opening in the year ahead, Amber’s ambition is to grow this figure to at least 3000 by the end of 2019. In terms of its expansion worldwide, Amber’s competitive edge is its global sim and footprint, which enables live tracking of vehicles on the road from Cape Town right through to Cairo. Thanks to its artificial intelligence capabilities, customers can ask questions in real time 24 hours a day via the platform. This year users in 22 countries globally, engaged with our app on an average of 14.1 times a week with an average session length of 1.37 minutes; this tells us that our customers love the Amber Connect experience and find it easy to use and navigate. Some important developments we are achieving in 2018 as we strive to improve functionality for our valued global customers across our established platforms. Amber Connect fleet management desktop applications for Windows and Mac, therefore no more web browsing! While we are excited by our recent successes, rest assured that we will continue to work assiduously to improve the user experience for our individual customers as well as bring efficiencies and greater savings to our fleet users. One aspect of Amber Connects global vision is to create an Amber Institute of Technology in every country to provide paid internships to unemployed youths, teach them to code and understand data intelligence and machine learning, and then re-employ them within the Amber Connect group of companies. Savadia’ explains that this strategy should encourage job creation and infrastructure development and decrease the so-called brain drain from developing countries. The company has already rolled out its tracking devices almost 22 countries since 2017 and hopes to reach at least 50 countries with a million devices on the road and establish 20 Institutes of Learning by 2020. The holding company, Amber Connect Ltd, which also launches its Smart Buildings project under the umbrella of Kuia Technologies in 2018. Kuia Technologies also currently has a massive global footprint with key offices located in Jamaica, South Africa, India and Russia; which are launch pad countries into the different markets in these regions and effectively covering the entire globe. “It will be a very important year ahead for consumer choices as they be will be keeping a very close tab on the fast paced world of technology innovation, especially in the digital App and the smart App vehicle telematics arena. Apps are going to once again monopolize this space with consumers looking for Apps that are easier to navigate, bring enhancement and greater value to their lives (and their loved ones) and ultimately put money back in their pockets, especially during these tough economic times we are experiencing worldwide. Amber Connect has seen an exponential uptake in our Smart Vehicle Telematics product globally, where customers want to have the peace of mind, that their loved ones are safe at all times. Our Amber Connect custom vehicle telematics App itself has almost forty five (45) unique features that not only assist in keeping your family safe, but also allow you to effectively monitor expenses of your vehicle and ultimately save you money.